Imagine if you could have all of the great properties of silicone (heat resistance, durability, waterproofness, stick to anything) but with the malleability/workability of Plasticine – well, this is where Sugru comes in. 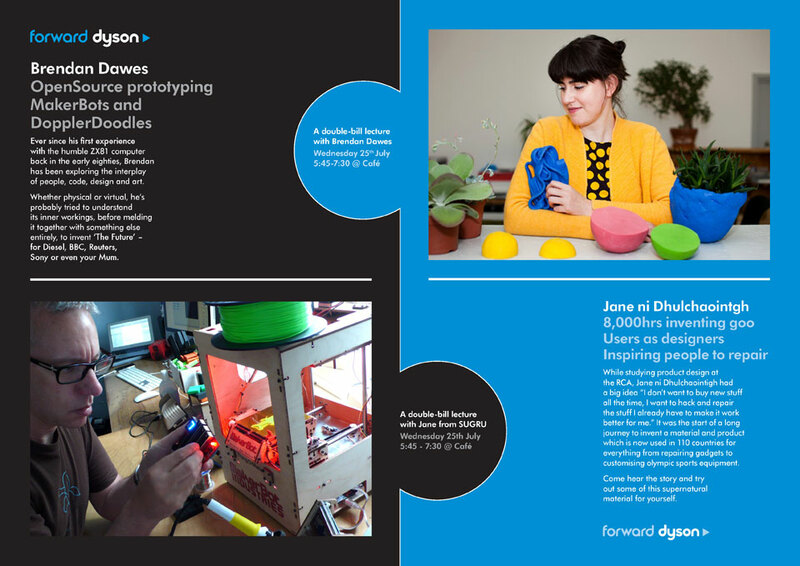 The only thing more awesome than Sugru, is the story of how it came to be (or rather almost didn’t)… So not wanting to miss this opportunity to share Jane’s entrepreneurial story, I put on a ‘Hack-Night’ at Dyson, with Brendan Dawes, on 25th July 2012. It was packed – and we got free Sugru to keep us quiet. It’s one of those materials that you might not know what to do with – yet – but after a while, your creativity kicks in and it’s like you get ‘Sugru-Vision’ and you’re modifying all sorts of things – and your world is all the better for it. Add your own Sugru ideas/creations for a chance to win more Sugru. Disclaimer: The thoughts and opinions expressed here are my own and do not necessarily reflect in any way those of the companies to which I am affiliated. The work shown here (or any advice given) is done so in good faith, but you attempt this entirely at your own risk and I accept no responsibility or liability for anything that results from it. (Sorry to be a drag, but you know how it is these days - people will sue for coffee being hot).